Brenda Dollar is a full service Broker and native of Atlanta Georgia, home Buyers and Sellers alike have come to know Brenda as “The one who sees the value in every client”. Brenda shows and extends value to her clients by listening thoroughly and understanding exactly what her Buyer’s and Seller’s needs are. She exceeds client expectations with her massive amount of experience and enthusiasm. Brenda and her team provide a wide range of real estate services, assisting clients in selling and buying single-family, multi-family and investment properties throughout the Atlanta Metropolitan Area. As an Associate Broker, she is in the top 10% of her Market Center; Brenda is a multimillion dollar producer who master mind with other top agents on a regular basis in order to continually refine her skills as a Real Estate Professional. She is also a member of the ALC (Associates Leadership Council) and mentors agents new to the real estate business. Brenda has been buying and selling real estate since 1995; she returned to school and earned her Broker’s license in 2003. She has sold over $138.8 million in real estate throughout her career representing Builders, Buyers and Sellers. She is the Broker/Owner of Platinum Key Realtors and has since continued her education and earned five of the top designations in real estate; ABR (Accredited Buyers Representative); CRS (Council of Residential Specialist) CDPE (Certified Distressed Property Expert) and SFR (Short Sale Foreclosure Resource) and SRS (Seller Representative Specialist). Brenda is actively involved with the following organizations; the National Association of Realtors, the Atlanta Board of Realtors, and the Council of Residential Specialist. 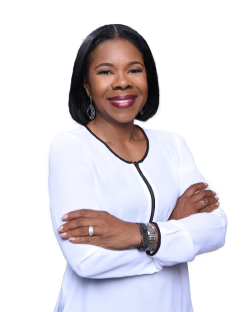 She serves on several ministries in her church including; the Women’s Ministry, Hospitality Ministry, Assimilation Ministry and she sits on the executive board of the Entrepreneur’s Ministry as treasurer. She enjoys volunteer work with Habitat of Humanity, and also sits on the executive board of the non-profit organization, Working Concepts. In her spare time she enjoys being with her family, golfing, reading and watching old movies. With a remarkable attention to detail and a drive to deliver results, Brenda’s number one goal is to provide excellent customer service and educate her clients by utilizing the most current technology, education, processes and systems. She prides herself on communication, accessibility, honesty an integrity. Her sales experience, coupled with extensive real estate knowledge ensures that every real estate transaction will be carried out professionally and efficiently. 2018 – Recipient of the Phoenix Award from Atlanta Realtors Assoc. Top Producer since 1995. 2015-2018: Ranked in the Top 5% in KW Market Center. Ranked #1 in 2018. 2000 – 2007: Recognized by Communities Magazine as one of Atlanta’s Top 100 New Homes Realtors. 2001: Ranked #4 of the of 100 agents in Georgia. 2000 – 2003: Awards received for $45M in sales by Atlanta Board of Realtors. 2002 – 2004: Received Awards from the Empire Board of Realtist for $69.8M in sales. 2003: Received Sales Person of the Year award – Empire Board of Realtist. 1995 – 1999: Recognized in the Million Dollar Club consistently by the Board of Realtors.